The BSC Swing Band is once again excited to be performing at the PMF. The band has welcomed new members this year. Extra rehearsals have taken place to allow new players to settle in. We have a few surprises this year. Clarinet player Krzysztof Pacholarz will feature on clarinet playing the Benny Goodman classic "Sing, Sing Sing". Our new vocalist Annie Rogers who also plays lead alto sax in the band will debut singing the Frankie Valli and The Four Seasons hit "Can’t Take My Eyes Off You". 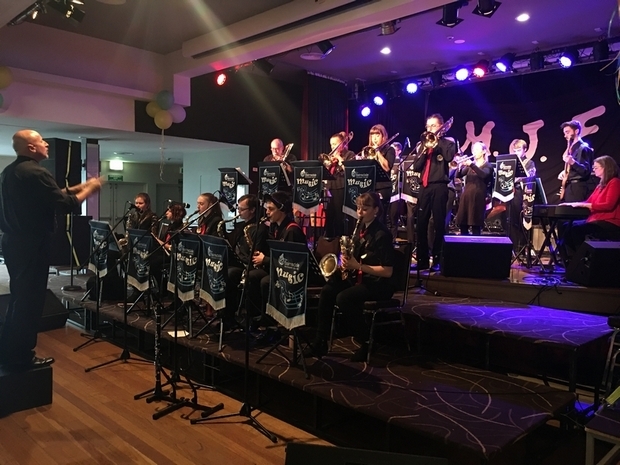 Following our performance at the Paynesville Music Festival the band is preparing to play at the Generations in Jazz weekend held in Mount Gambier followed by their annual trip up to the Merimbula Jazz Festival. Bring your dancing shoes or just sit back, relax and enjoy the BSC Swing Band.